NTR donated Rs. 1 lakh to deceased fan Prasad family. Prasad died at Lakshminarayana theatre at Tadipatri recently due to stampede on Kantri release day. NTR who was on live TV show (NTV) when this incident occurred, assured full support to deceased fan family then. Keeping his word he donated Rs. 1 lakh to fan’s family today at NTR’s office. He also promised future help to the family. Vallabhaneni vamsi, current producer of NTR’s film with Vinayak also donated 1 lakh. anna na peru shobha…nenu mimmalni okasari kalavalani anukuntunna. mee address chepthara? naku annalu evaru leru. nenu ninnu sontham annayaga bhavinchi na badha share chesukovalanukuntunnanu. ela kalavanu annaya? 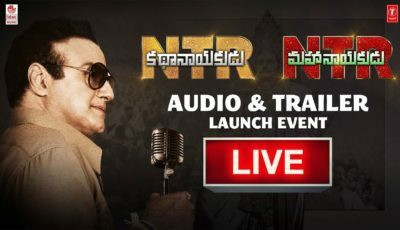 TODA GOTI PULI BIDALA RAVALI SUDIGUNDAMLA TOLLYWOOD RECORDLU TERAGA RASI MA GUNDELO ENATIKI GUDE CHAPUDULA VUNDALI JAI TELUGU BIDA NTR JAI JAI NTR. I WANT TO MEET YOU BROTHER. ATLEAST ONCE IN LIFETIME PLEASE. WISHING YOU ALL THE BEST FOR THE UPCOMING PROJECTS I WANT YOU TO DO ”DANA VEERA SURA KARNA”. Earn good name like tata garu by giving ur helping hands to these type of poor people. ANNA! NEEVU IPPUDU UNNA DURTY POLITICS LOKI ENTER KAVADDU ANNA.IPPUDU CHESTUNNNA MANCHI PANULU CONTINUE CHESI MAA ANNAGA NILICHIPOVALANI MAA KORIKA. do good things like this.god will certainely help to ntr. Anna u r doing good u r rock Anna. keep it up keep our nandamuri fans name by doing many good works. we r here to help nandamuri family. i love u so much. vunta anna bye. natana thone kadu manavatvam thokuda maimaripichgalau ani neeru penchav. manchi manasaiha nedi sagi po kalakalam maa gundela gudilo. he did a splendid job. OK ‘NTR’ GO A HEAD. 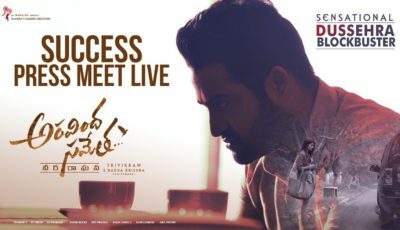 U have to do much more things to become like ur grandfather…..
U r d best nd u have a great attitude.may god(mana bashalo tata NTR)bles u.all d best anna.ne kosam denikina ready. Thank you very much from all of us..
g8t wrk jr NTR. keep going. Great NTR Annayya.Malli Thathagarini maripistunnav.